I love puns and the inevitable eye-rolls that follow. There is a quote by an unknown author that goes, “A pun is a short quip followed by a long groan.” In my opinion, the more intense the eye-roll or the groan, the more successful the pun is. Puns go as far back in history as ancient China, the Maya civilization, and ancient Egypt. The latter where puns were found being heavily used in the development of myths and interpretation of dreams. It is my belief that it is our duty as man to keep these traditions alive and well. After all, behind every great man is a woman rolling her eyes. 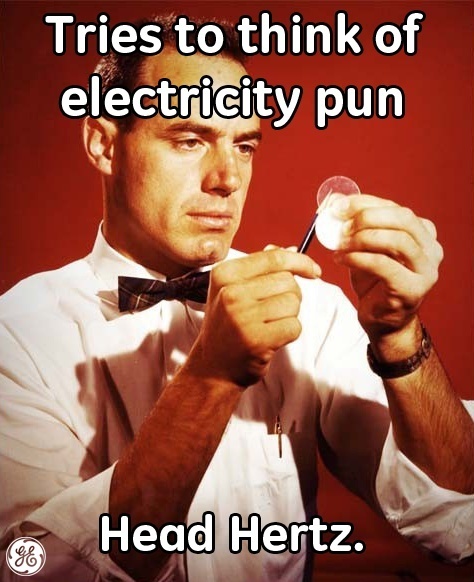 tl;dr - Puns are fun. 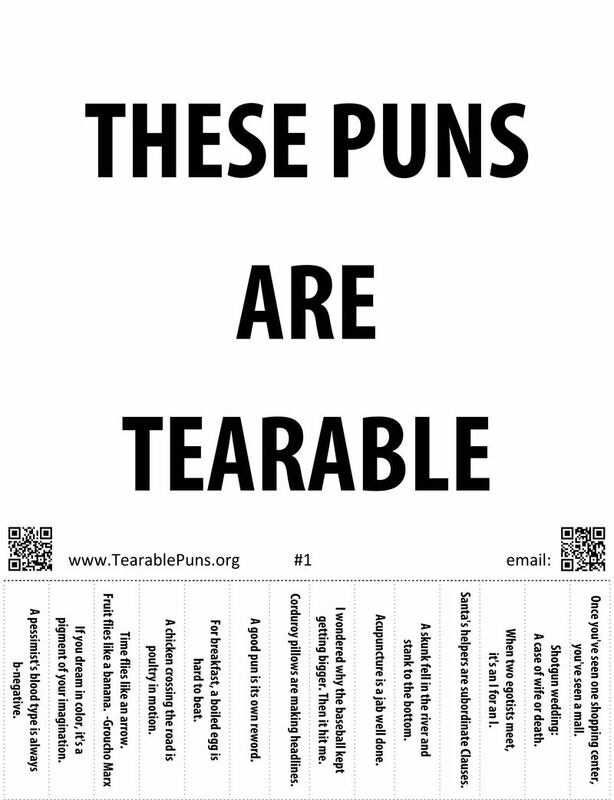 Check out Tearable Puns by clicking on the image above for printable versions. 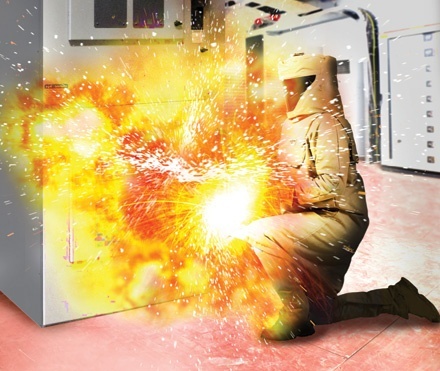 Also, don't underestimate arc flash hazards! Follow the link above to learn more. Leave your best pun-ch line in the comments below and have a great week!